Men of the Maori Pioneer Battalion take a break in a trench near Gommecourt. 25 July 1918. 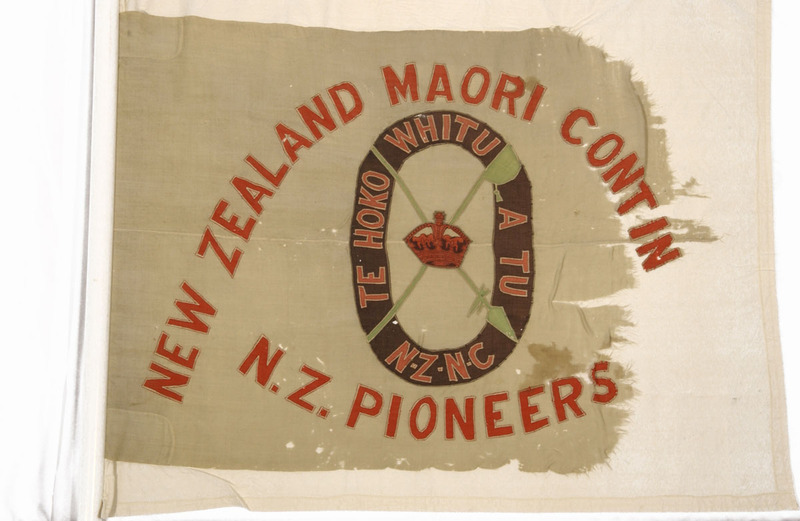 The New Zealand Pioneer Battalion (NZPB) were just that – pioneers. They were the men sent in before the troops, to prepare the land for battle. This force of semi-skilled labourers was put together after the Gallipoli campaign, and included what was left of the Maori (Native) Contingent and the Otago Mounted Rifles. The men’s new role on the Western Front was to dig and fit out trenches for troops to live in, as well as build and repair the roads, bridges, and railway lines that troops and supplies travelled along. They often worked alongside the New Zealand Engineers (NZE). In August 1916, both the NZPB and the NZE were sent to the Somme to prepare for the 15 September offensive. One of the NZPB’s most important tasks was to dig a two-metre-deep, eight-kilometre-long communications trench – Turk Lane. The NZE dug an accompanying trench – French Lane. A flag of the Pioneer battalion. The motto translates to: 'The 70 twice-told warriors of the War God'. Communications trenches like these were vital, providing a protected route for infantry and stretcher bearers as they travelled to and from the frontline. Comings and goings were heavy along the lanes, and they became social areas, where men passing by each other would stop to chat and share news, before continuing on to their destinations. Of course there was no protection for the men digging such trenches, and as the NZPB worked with their picks and shovels they braved artillery fire from the Germans – who still held some higher ground nearby. Chief Historian Neill Atkinson talks about the role of the Pioneer Battalion. 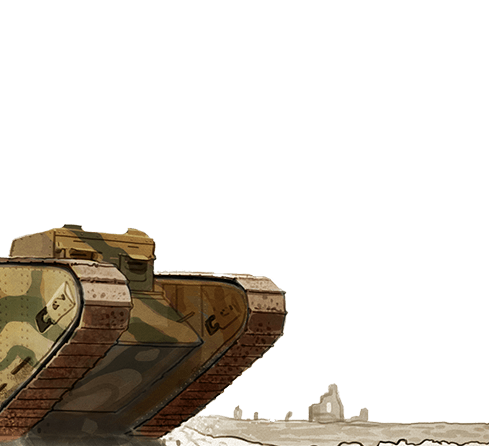 "All armies used pioneer units during the First World War. Pioneers were a skilled labour force, who were trained for and deployed on engineering tasks, such as digging and repairing trenches, dugouts and bunkers, operating sawmills to supply timber, building and repairing roads, bridges and light railways, and laying the famous wooden duckwalks across the mud. The New Zealand Pioneer Battalion was established as part of the New Zealand Division, which arrived in France in April 1916. It was made up of two squadrons of the Otago Mounted Rifles Regiment combined with the Maori Contingent and reinforcements, including newly arrived recruits from the Cook Islands and Niue. In September 1917 the Battalion became a fully Māori and Pacific unit, and from then until the end of the war it was known as the New Zealand (Maori) Pioneer Battalion. Pioneers were also trained as infantrymen, and could be pressed into the front line if needed. In 1916, some Māori pioneers took part in raids against German trenches at Armentières." Once the battle began, the NZPB were sometimes called on to fight as troops – and many were killed at the Somme. These New Zealanders were proud of their contribution to the war effort, and widely praised by other Allied forces.